Vertex has given a downbeat sales forecast for 2017, saying negotiations with European health systems are dragging their heels on reimbursing its cystic fibrosis drugs. Nevertheless, analysts expect the company to be one of the top performing stocks in biotech this year. The US biotech is one of a raft of life sciences firms hoping to woo investors at the annual JP Morgan pharma conference in San Francisco this week – and despite the slightly disappointing figures, analysts are still backing Vertex because of a strong pipeline aimed at treating subgroups of patients who still have limited treatment options. 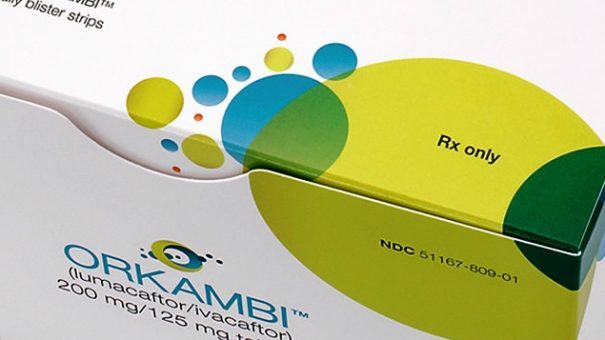 Sales of its Orkambi (lumacaftor+ivacaftor) for 2017 are predicted to be between $1.1 billion and $1.3 billion, below consensus expectations of around $1.45 billion. The story was similar for its Kalydeco (ivacaftor), with sales this year predicted between $690 million and $710 million – below consensus expectations of around $750 million. Preliminary and unaudited financial results for last year show Orkambi sales of $979 million, while Kalydeco sales were $703 million. But the 2016 revenues did not include sales from France, where the company has not yet struck a formal reimbursement agreement. Orkambi revenues in France for 2016 were around 70 million euros through early access schemes, with around 30 million euros generated in Q4. Last year, NICE ruled the National Health Service should not fund Orkambi, because of its annual price tag of about £104,000 per patient. Looking forward into 2017, Vertex said it hopes to file in Europe for an extension to Orkambi’s licence, to include children aged 6-11 who have two copies of the F508del mutation, based on favourable phase 3 results announced in November. There are around 3,400 children in Europe in this population group, the company said. Vertex is conducting a phase 3 study of Orkambi in children ages two through five who have two copies of the F508del mutation. Enrolment is expected to be complete in mid-2017. Vertex is also evaluating safety of Kalydeco in children under two years of age. The study is enroling infants with one of the 10 mutations for which Kalydeco is currently approved, and will evaluate its effect on markers of CF in young children. In the first half of 2017, Vertex is also set to announce phase 3 data of its tezacaftor, including data for four different cystic fibrosis (CF) patient groups. A paediatric trial in children aged 6-11 is ongoing. Vertex also expects to have four different triple-combination regimens involving “next generation correctors” by the end of the year. Dosing is already underway in two phase 2 studies evaluating the next-generation correctors VX-440 and VX-152 in triple combination regimens with tezacaftor and ivacaftor in people with CF. The first data from these studies are expected in the second half of 2017. These data are intended to support the initiation of phase 3 development for VX-440 and of a longer-duration phase 2b or registrational program for VX-152. Vertex is also developing the additional next-generation correctors VX-659 and VX-445. Dosing is now underway for a phase 1 study of VX-659 in healthy volunteers, and dosing in CF patients is planned in the first half of 2017. Despite the company’s conservative sales forecasts, the promise of a next generation of CF drugs was enough for investment bank Jeffries to give Vertex a “buy” rating. Other analysts also backed Vertex.